Do you require service for your windows, vinyl siding, patio room, or other home improvements? Request your service from the helpful experts at Kingsford Vinyl Siding today! Our team of friendly employees is here to help you in Raleigh, Durham, Chapel Hill, Cary, and the rest of the NC Triangle. Fill out the form on this page to request your service. Kingsford Vinyl Siding wants to help you learn about how you can better care for your windows. View the helpful videos and links below for more info on how you can properly remove your window screens, including full screens and double-hung sashes. Kingsford Vinyl Siding wants to help you with your window seals. To check your window seal, pull down the top sash of your window. Inside, you will notice a white sticker with black writing detailing specifications for the seal. Write down the number on the seal and be sure to mention whether the failure is in the top sash or bottom sash of your window. 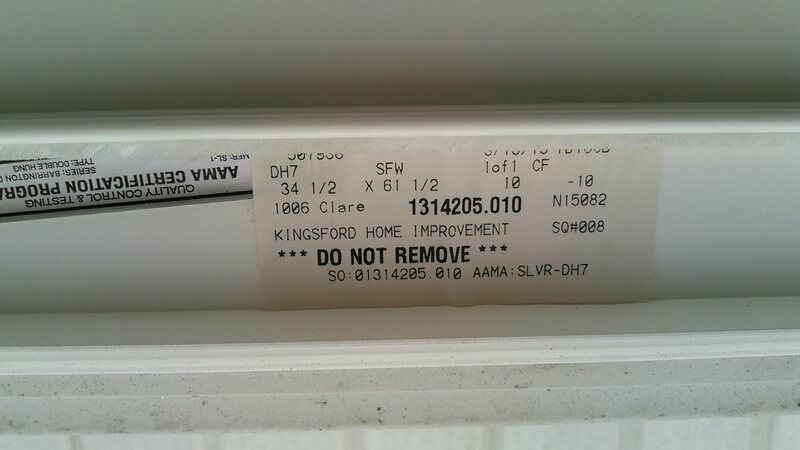 And existing Kingsford customers can get their windows rescreened for free! That’s right, if you’re a customer of ours, remove the screen yourself and bring it to our 1347 Avondale Drive location in Durham, NC. We’ll be happy to rescreen your window at no charge. Kingsford is always here to help with all your window needs. Request your service now! The window screen replacement experts at Kingsford Vinyl Siding and Windows are always here to help. Click the link below to request your service today!